The Nigerian movie industry has indeed given birth to great talents and each day that passes by, more talents are being discovered. The sad part of it is that some of these raw talents are beginning to better life elsewhere because of the situation of the economy which is not friendly. 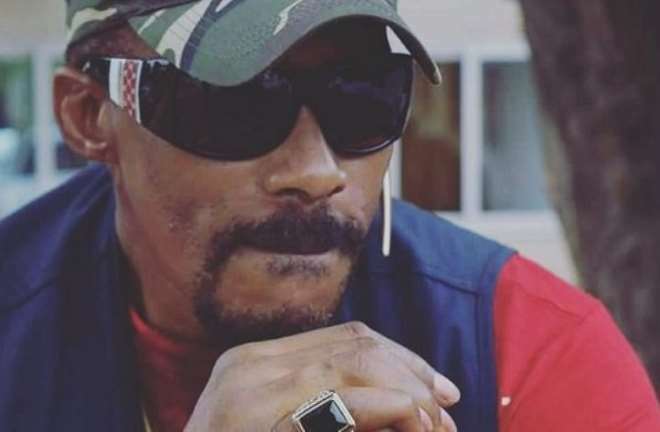 When one talks about action movies or very daring roles, actor like, Hank Anuku’s name always comes to play that producers and directors always want to have him on their set but since relocating to Ghana, that vacuum has not been filled. Hank, recently speaking with Nollywoodgists.com talks about his new life in Ghana as he also went on to explain why he recently took off his dreads. Your name is not that pronounced in Nollywood like back in the days, is it because of your change of environment? I have a good name better than greatest riches, pronounced by my numerous fans who know the quality of my works and here in Ghana I'm very popular amongst the people and they all pronounce it everyday and everywhere because they appreciate my films. How many movies have you shot so far since moving to Ghana? I've been into other things good e.g. campaigning for Nana Amigo Addo of the NPP in the creative Arts. I've shot and still shooting a few good movies and will hit the screen soon because they first go to the cinema. Is it true that you relocated to Ghana and had a change of name to Nana Kwame Fiifi Kakra Anuku, because of the poor economy system of Nigeria? Ghanaians love me so much and I love them too, so they made me one of their own, when in Ghana be a Ghanian. There are other nations here including Caucasians, Asians, Chinese, Lebanese, Americans, British, French etc, some have naturalised who were here before me. How often do you visit Nigeria and any hope of returning if things get better? I love my country equal and despite its troubles I will return in God's time to help restructure it's broken course. Since shooting your movies in Ghana, how has it been compared to when you were in Nigeria? Ghanaians appreciate my jobs a great deal, and want more of me because they say it impacted them positively. How long did it take you to settle down in your new home Ghana? Most times am in church or studying or work, but it didn't take me much time to adapt, apart from language barriers, being an extrovert and friendly, didn't take that long to readjust. Does it mean that the Nigerian environment is not conducive to shoot movies or Ghana has more equipment than Nigeria? Locations are both good in their destiny formation and conducive, depending on the eye of the director. You recently took off your dreads, why did you decide to take them off? I went to pray on the mountain and God gave me an instruction and I took the initiative to comply. How many years have you had them on? I had dreadlocks for 4years. Since you left the Nollywood industry, it looks as if you are not getting the popularity as before, do you see things that way? My popularity can never diminish because it's God's blessing for the emancipation of his chosen ones and even now I'm very popular here and they are missing me in Nigeria a lot and it's natural that I miss them too because I love them. People feel you are now calm compared to the past where you were seen gyrating and having fun with bikers in Delta state; will you say Politics played a vital role in your transformation? I'm a biker for life and my bikers are a part of my strength, change is a constant force, so I'm just swinging alongside until God says otherwise. God played a vital role on my life not politics or political ambitions.